After a long winter, Spring is one of the best times of year. I like it because there are so many things to do like packing away the winter wardrobes and bedding, spring cleaning, changing the home decor to brighter colors and of course getting the pets prepared for their fun days in the green grass and sunshine. 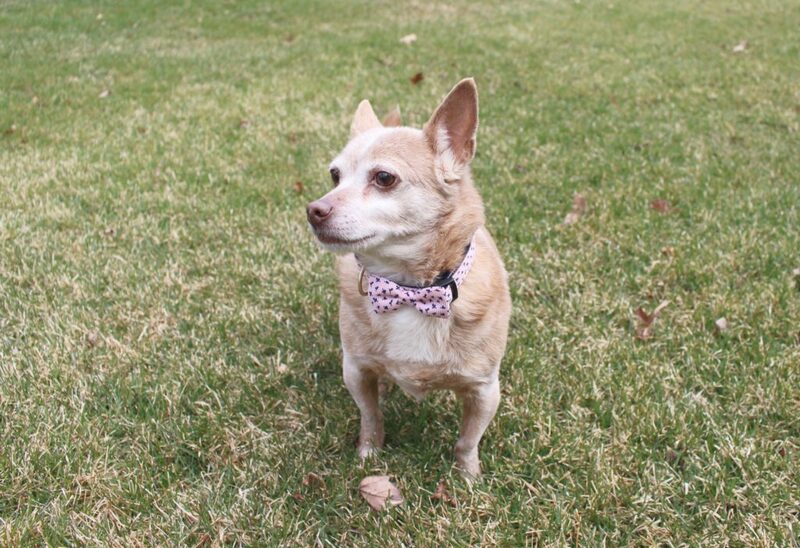 The first two things I did to give Reese a jump into spring was to buy him a spring-themed bow tie in pink and navy to replace the ones in winter colors and the second thing of course, was to pick up a new pack of his essential defense, FRONTLINE® Plus Flea and Tick Treatment for Small Dogs (5-22 lbs). Click on the image above to purchase FRONTLINE® Plus online at Walmart. 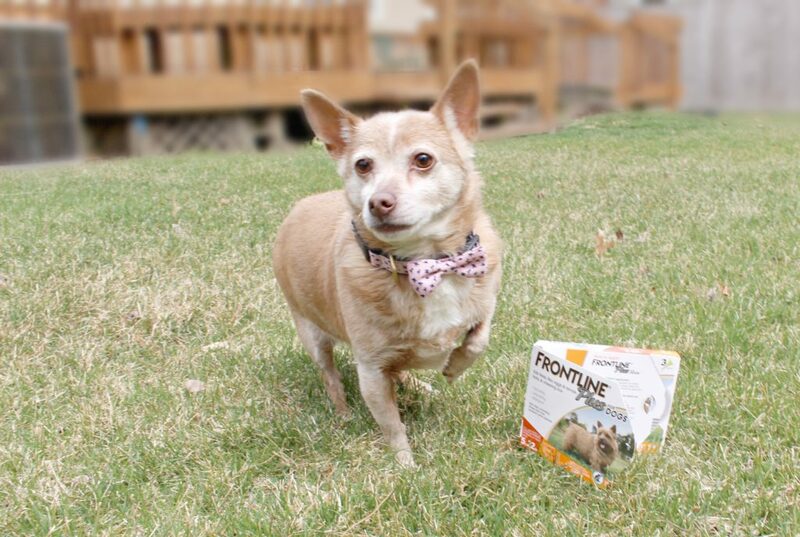 We trust FRONTLINE® Plus for our little dog. Not only has it been proven on pets, but it’s also the #1 name in flea/tick control. One simple application works for 30 days. It doesn’t just kill adult fleas and ticks but also slays the next generation flea eggs and larvae. As you can see from his grey hair, our Reese is an elderly dog, but FRONTLINE® Plus for Dogs can be used for dogs including puppies as early as 8 weeks old that weigh at least 5lbs. And it is really easy to apply. This is how easy it is to apply. . . Before you apply, remove the dog’s collar. Step 3. Part your dog’s hair between the shoulder blades. Place applicator tip just above the skin and squeeze. Step 4. Apply entire contents of the applicator in a single spot. Remember to wait 24 hours to allow solution to dry before bathing or letting your dog swim. Repeat steps 1-4 every 30 days. It is really a simple and fast process to provide fast-acting, long-lasting treatment & control. 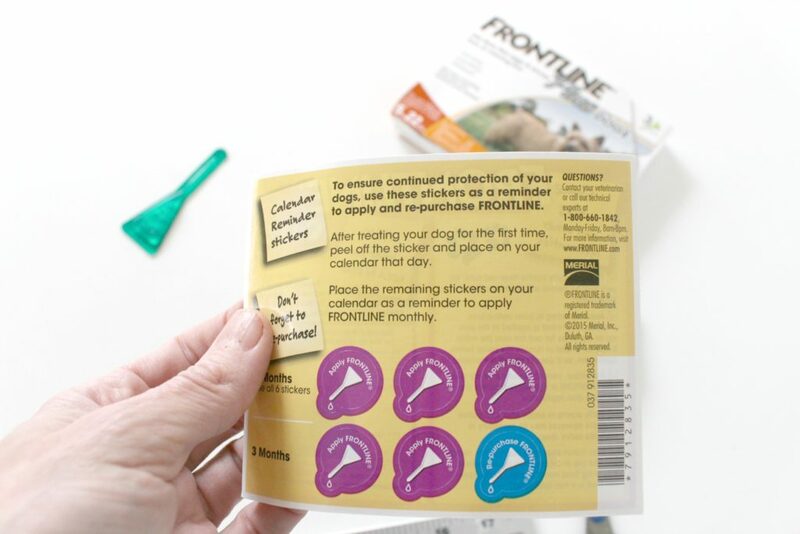 We also live in an area where we use FRONTLINE® Plus for killing ticks that may transmit Lyme Disease. 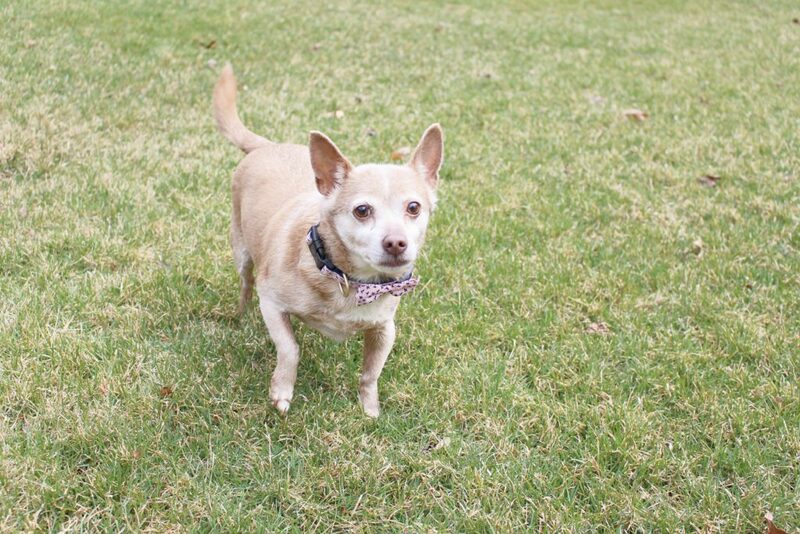 Using a product that has a proven track record as the #1 name in flea and tick control, backed by abundant clinical studies and research, gives me so much confidence for Reese. I like that they provide reminder stickers in the package that you can put on your calendar to help you remember to keep your pet protected each month and all year round! You can buy FRONTLINE® Plus for Dogs for your dog and FRONTLINE® Plus for Cats for your cat at Walmart. They are set among the pet supplies and pet care products. 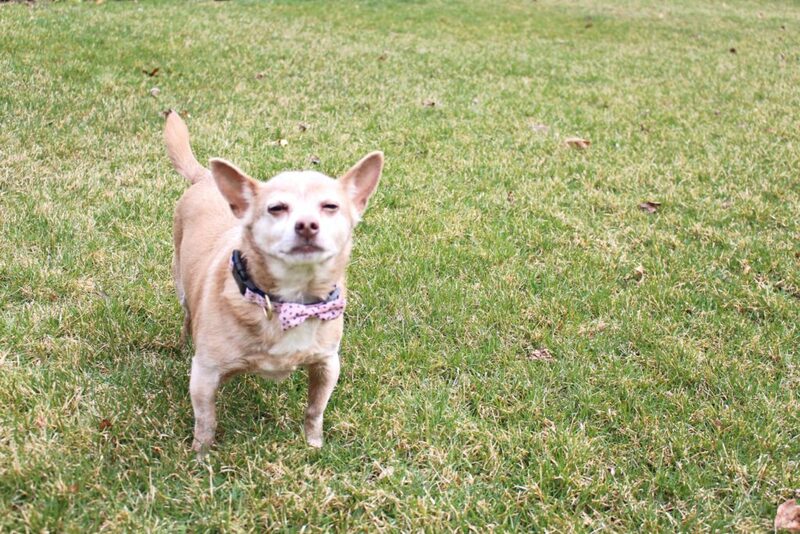 Now that Reese is ready for spring, he loves being outside and soaking up the warm sun.